Hatfield’s leadership book is anything but scholarly written and organized in strict academician’s style. It is, as its main draw, a down-to-earth, practical advice to leaders and managers on how to move things from A to B using a commonsensical approach with a dash of wit. 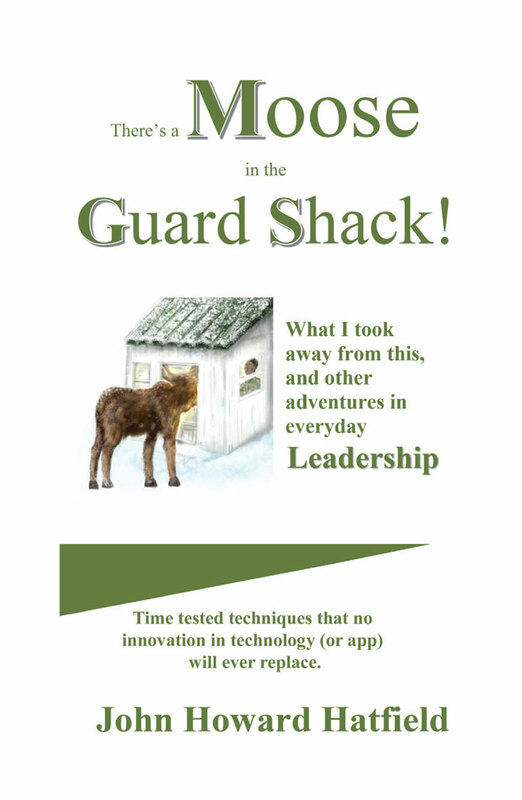 There’s a Moose in the Guard Shack compiles time-tested, reality-based leadership techniques culled from the author’s anecdotal experiences that spanned his career in leadership posts from over forty years in the military and private sectors. The book is a good and witty read for project managers, company executives, practically anyone who has had to lead a team to move and achieve a common goal. John Howard Hatfield’s long work in the materials management and manufacturing profession provides the wellspring for his nuggets of wisdom on how leadership is nurtured, handled, and used to move things from A to B in whatever situation, wherever, and whenever. He has had sixty military postings, had worked in twenty-two states and been in all fifty states with enough different hats to wear every day for a year. Each real-life anecdote is followed by “lessons learned,” grassroots, commonsensical advice shared by the author on directing, managing, supervising people and organizations. His approach provides a refreshing air to the typical structured analysis employed by human behavioral scientists and scholars about the art of leadership. His advice works because they are based on real scenarios—his—and not on theories or volumes of literature, which the author finds contrived, and written by academicians in the comfort of their university desks. Hatfield has a Masters from Central Michigan, a MS from the U.S. Army C&GS College, and a BBA from Texas A&M.